Ahlen, March 2016. 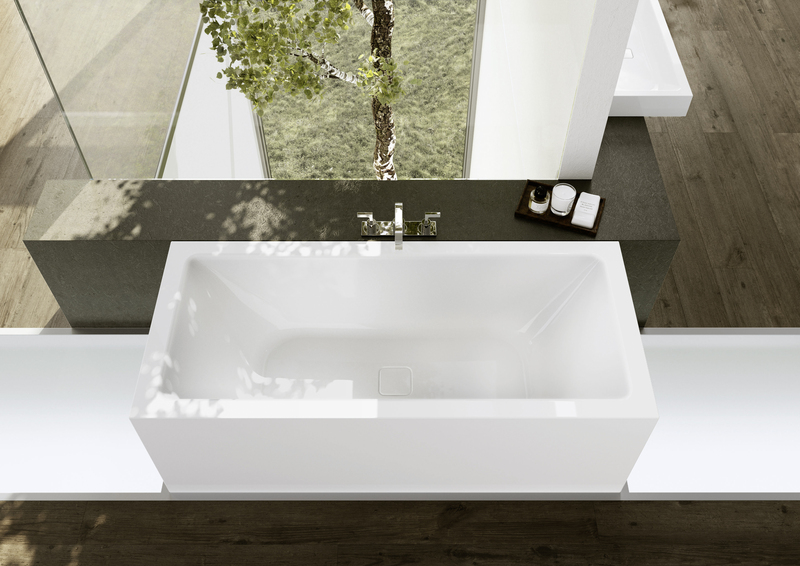 – Following the successful market launch of the Meisterstücke Collection – freestanding bathtubs with fully enamelled panelling, Kaldewei is now responding to the popular wish for the product to be expanded for corner and wall installation: the Meisterstück Centro Duo and Meisterstück Conoduo bathtubs are now available in variants with two and three-sided fully enamelled panelling. Kaldewei is thus offering fully enamelled solutions for every installation situation. In consistently developing its premium range, Kaldewei is opening up new scope for high-end bathroom design: the Kaldewei Meisterstücke Centro Duo and Conoduo with two and three-sided panelling are highly persuasive thanks to the universal and seamless use of sublime, robust Kaldewei steel enamel – be it as a corner solution or for wall installation. The new Kaldewei bathtub models with fully enamelled panelling also score because of their exceptional ease of installation: the waste fitting of the bathtubs has already been pre-installed by the factory, and a base or pedestal is not necessary. 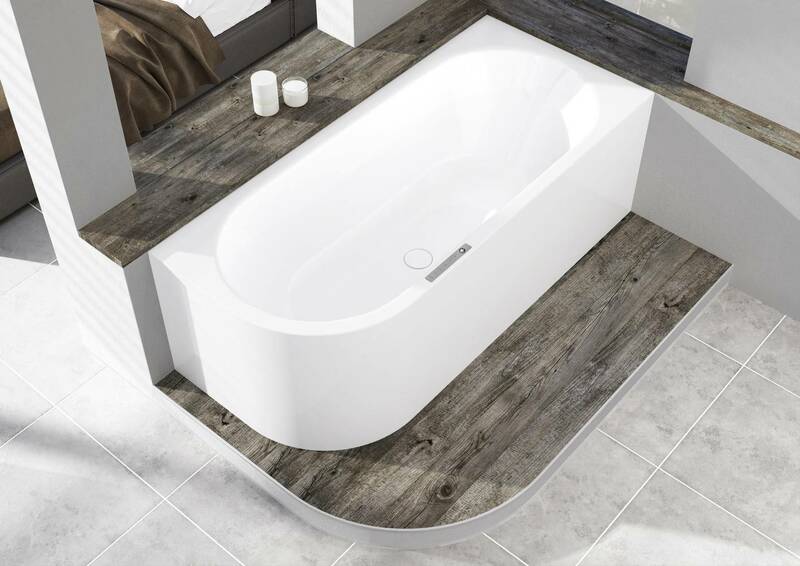 Furthermore, thanks to the enamelled panelling, the sides of the bathtub do not need to be tiled, saving both time and money. The Meisterstück Centro Duo and the Meisterstück Conoduo feature minimalist lines whose timeless elegance is rounded off by an enamelled waste cover and a discreet overflow. 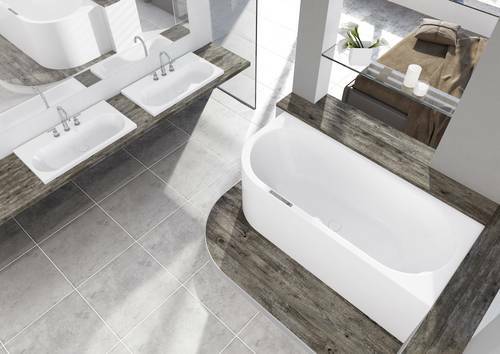 Both bathtub models are available as left and right variants, and Kaldewei’s easy clean finish comes as standard. Owing to their modern look, unique range of different models, and the outstanding properties of Kaldewei steel enamel, the Meisterstücke with two and three-sided panelling are the perfect solution for individual, high-end bathroom design, and are particularly suitable for clients with exacting design and material standards. Apart from the Meisterstücke for wall and corner installation, Kaldewei has already had Meisterstücke as freestanding variants in its multi-faceted product portfolio since 2014. These fully enamelled models are ideal for free placement within a room. Pictured: Meisterstück Centro Duo with two-sided panelling and Comfort Select electronic control panel. Kaldewei offers the Meisterstück Centro Duo bathtub with seamless, enamelled panelling on two sides, specifically for corner installation. 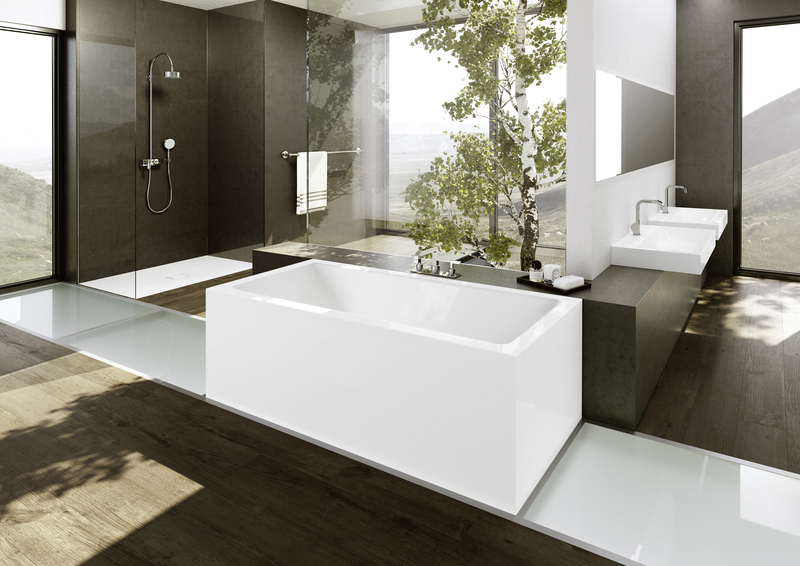 Pictured: Meisterstück Centro Duo with two-sided panelling and Comfort Select control panel, Centro washbasin. The new Kaldewei Meisterstücke with two-sided panelling are particularly suitable for bathrooms in which there is not sufficient space for a freestanding bathtub, but which should still be fitted with a fully enamelled bathtub. Pictured: Meisterstück Conoduo with three-sided panelling. With three-sided fully enamelled panelling, the Kaldewei Meisterstücke are ideal for wall installation. Pictured: Meisterstück Conoduo with three-sided panelling, Cono washbasins and Conoflat shower surface. Meisterstücke with two and three-sided fully enamelled panelling are characterised by great ease of installation and by their use of a single material throughout the bathroom.